Coolwinks – Buy 1 Sunglasses at just Rs 18 Only via Paytm/PhonePe. CoolWinks® was founded in 2016 with a clear focus on providing better vision to millions with quality eyewear. 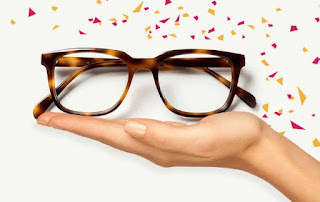 We are aiming to be a leading online retailer of vision care products with the highest standard and widest range of Eyeglasses, Prescription Sunglasses, Sunglasses along with specialty brands and lenses. So Hurry up and avail this offer !! 6) Add the Product to your shopping cart. If you add 1 sunglasses (Rs 870) correctly then you will se Rs 1035+. 11) You will get the 100% Cashback upto Rs 1000 in your Paytm/Phonepe wallet instantly !! In case of full cancellation/return, refunded amount less of cashback will be credited back to the source of funds used while making payment. Cashback processed would be adjusted in the refund value. e.g. If Rs .1050 is paid by the customer & cashback of Rs. 1000 is already received – balance that would be paid to customer as refund would be Rs. 50 only. Get Flat Rs. 1000 Cashback, on a min order value of Rs.1000. Offer is valid from 22nd February 2019 (00:00 Hours) to 28th February 2019 (23:59 hours). In case of full cancellation/return, the cashback given on the transaction will continue to remain as gift voucher balance and non-withdrawable to your bank account. This can continue to be used on PhonePe (recharges, bill payments, etc.) Refunded amount less of cashback will be credited back to the source of funds used while making payment.